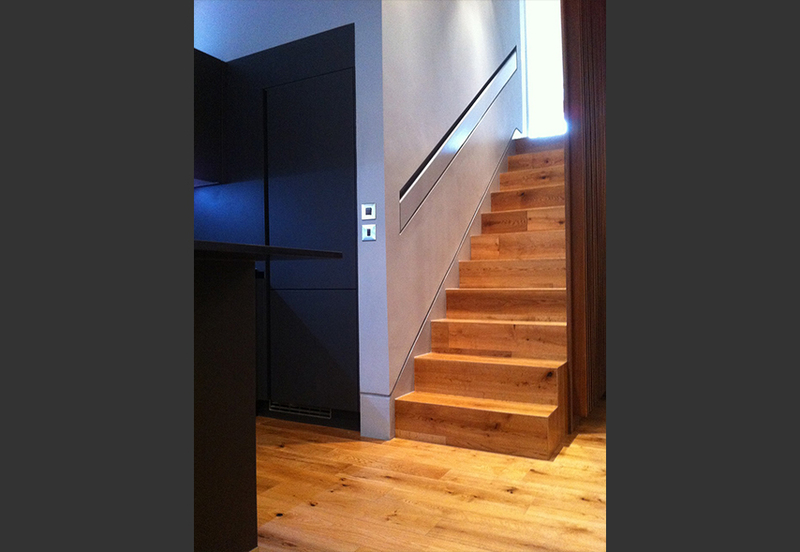 Lava black matt lacquer units from our Next125 range with matching plinths and grip rails in black matt finish. 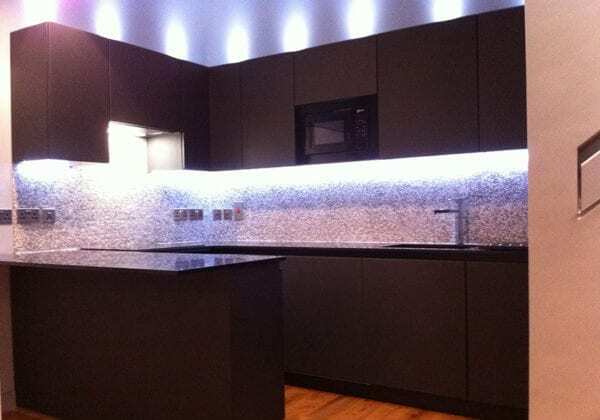 Nero quartz 20 mm thick worktops. 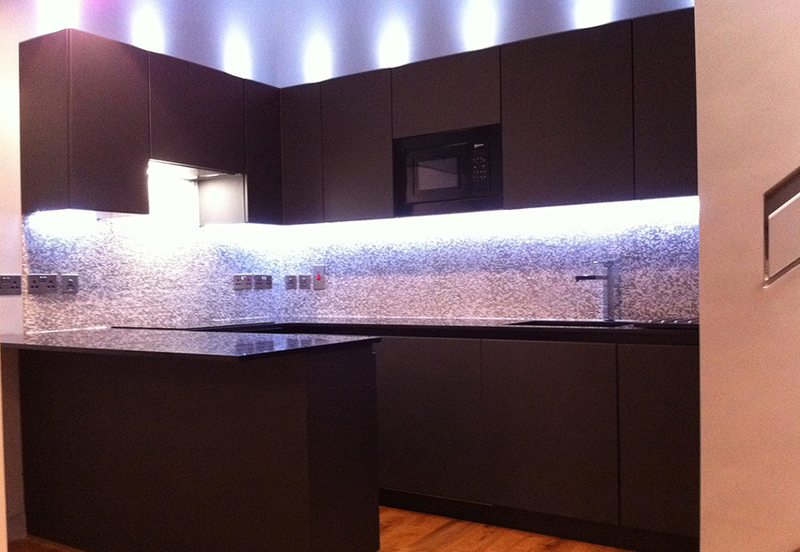 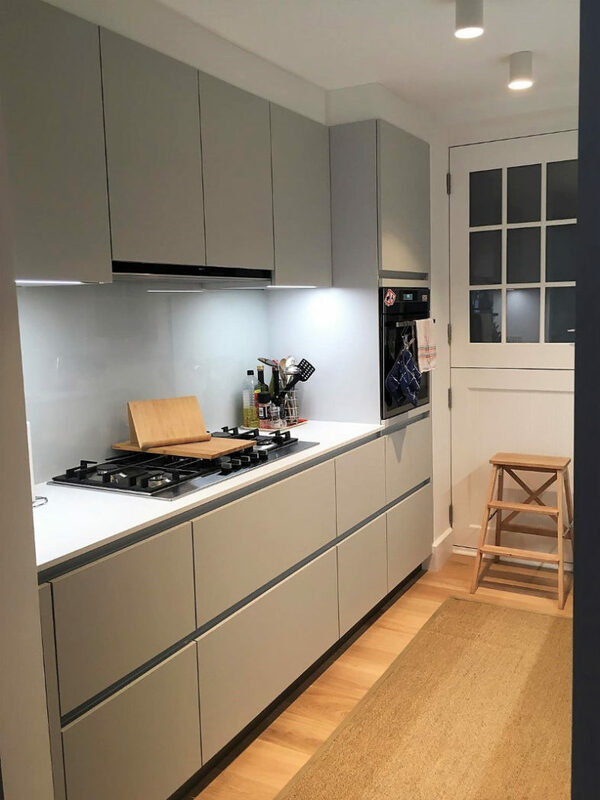 The cracked glass toughened splashback creates a vivid contrast to the black matt units. 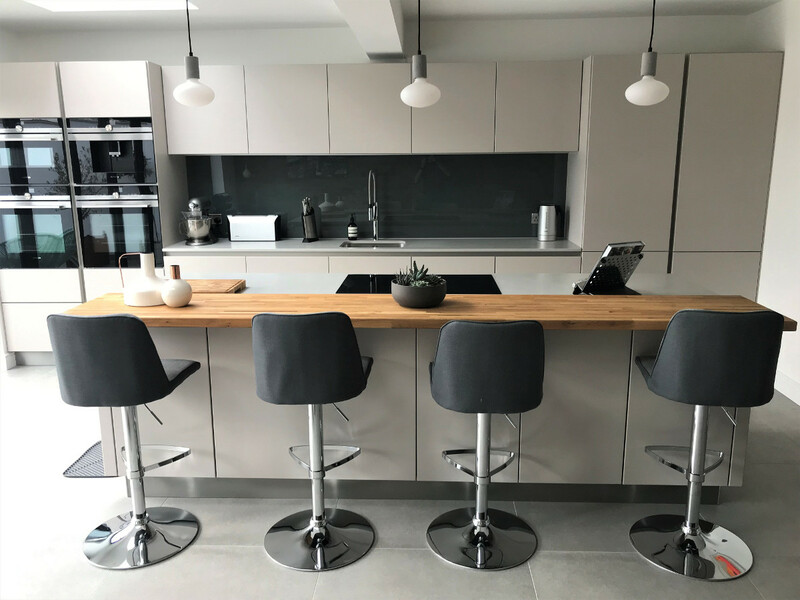 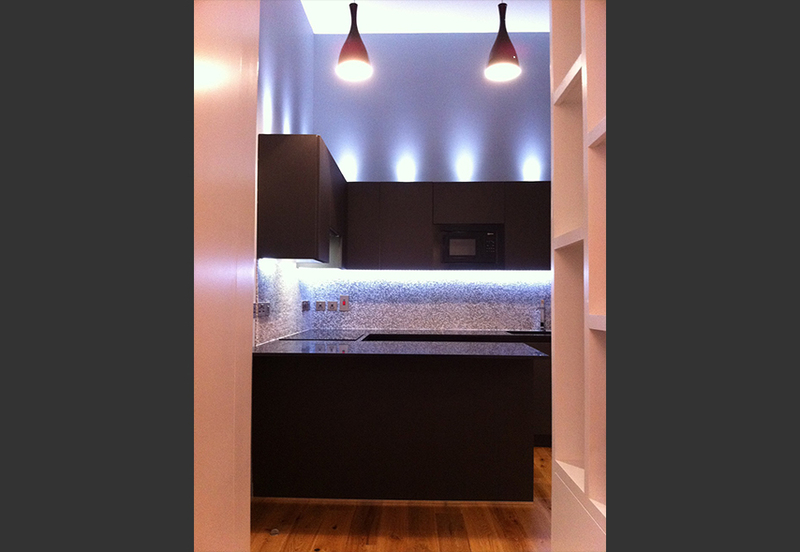 Superb up and down lighting on this dark kitchen really shows off the units and this section of the room really well.